Crocodile Tears’ Affiliate Program is free to join and requires (almost) no technical knowledge to implement. Affiliate programs are common throughout the Internet and offer website owners an additional way to profit from their websites. Affiliates generate sales for us and receive a commission payment for their efforts. Who is an Ideal Crocodile Tears Affiliate? An affiliate is someone with a website who helps promote our products and in turn receives a shares of the profits. Our ideal affiliate partner is one who shares our desire to promote natural, self-guided health solutions. 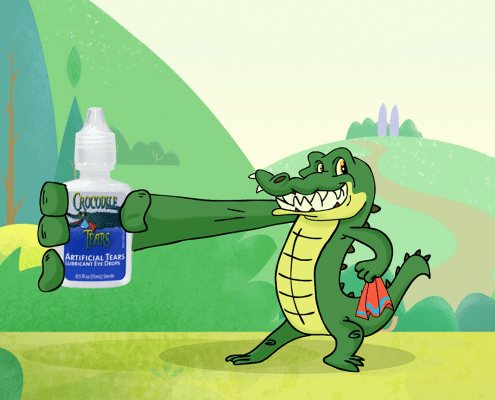 To compensate website owners for their efforts, Crocodile Tears, LLC pays back 30% of what customers spend when they click from your site to ours to make a purchase. It’s absolutely free to join and all you need to do is to create a link to Crocodile Tears, LLC. from your website to ours. When you join our affiliate program, you will be given access to a range of banners and text links that you may place on your site. When a user clicks on one of your links, they will be brought to our website and their activity will be tracked by our affiliate software. Once a purchase is completed from the traffic you send us, you earn commission! If you’d like, we’ll even put our graphics team to work to create custom banners for your website.